While it is important to develop the Statutes of the International Confederation of Labour (ICL), that lay out our particular manner of functioning, it is equally important to define some work areas that the unions in each state consider useful for us to take on. These lines of work will not only reinforce the union organizing and social movement organizing work of the member unions, but will also make the ICL more attractive to other non-member unions. Today an increasing number of large companies have a trans-national character, and our internationalism will be very important in confronting them; having allies in other countries is a unique strength of our union, and if properly employed it could be very effective both for winning labour struggles and for expanding our model and philosophy to other countries. These work areas are to be put into practice in order of priority as established by the member unions in Congress, with appropriate monitoring to ensure that they are carried out and do not fall through the cracks. New tasks should not be assumed if these core areas are not already being addressed. Actions in countries with authoritarian governments. The Congress, in view of the workload represented by each point for the future action of ICL, decided to fully develop only the first three, as priorities, and keep the rest for a later congress. Create training documents for creating, developing, and establishing a union in a town, region, and state. Create training documents for union strategies using examples from member unions with firmly established workplace organizing (some of these documents already exist and need only be translated). Organize conferences of active members, with observers from the different member unions. Organize exchanges of members among the different member unions. Establish summer schools run by the different member unions. We should create an Eliseo account (Translator’s note: the CNT’s internal web platform) for each one of the member unions for internal communication and exchange of materials for planning campaigns, training, etc. A minimum of ten workers involved in a conflict should be established in order to launch an international solidarity campaign (except in cases which are particularly strategic for the member union promoting the conflict). A minimum time period should to be established for calling these campaigns so that the member unions have time to prepare appropriate actions. When we are preparing for labour struggles with our own union sections (to give an example from the CNT), we should attempt to contact workers from the same company in other countries to attempt to coordinate and build a presence with the member unions in other countries where the company is located and vice versa, as in the cases of Deliveroo and Amazon. We should not wait until the conflict has already broken out. We should work based on criteria established by the member unions towards legalizing the ICL as an international body, and examine the possibilities as a body to file lawsuits over violations of workers’ rights, etc. In contrast to the European Trade Union Confederation or the International Trade Union Confederation, we have revolutionary objectives and our goal should be to go further than these bodies, going beyond the mere adoption of international workplace standards. Without losing sight of our current state of weakness, we can be ambitious and promote campaigns that attempt to equalize workers’ rights between different countries, as was done in the past with the fight for the eight-hour day. These proposals would address head-on the racism and xenophobia that is currently experiencing renewed strength internationally, as these measures would restrain the forced migration of workers and the off-shoring of companies to areas with lower salaries and fewer workers’ rights. Coordinated action against patriarchy and for equal living and working conditions for everyone. joint legal action accompanied by an international campaign in different languages (e.g. against gender pay gap). The goal is absolute equality in reproductive and productive labour. Just as we take advantage of collective bargaining agreements at the company, sector, or territorial level, we could use the figure of our international organization when it is legalized to defend and maintain the highest standards for employment internationally. The country has already-existing anarcho-syndicalist or revolutionary unions. The country has already-existing libertarian revolutionary groups who are interested in forming a union. The country has existing unions, labour movements, or social movements which are moving towards revolutionary unionism. The country has neither of the above conditions. 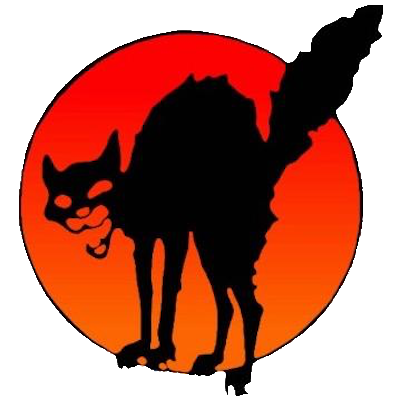 We should establish contacts in those countries where there are anarcho-syndicalist or revolutionary unions and invite them to collaborate and build relationships with workers where the unions of the ICL are established, and vice-versa. We can also offer them the possibility of participating in international solidarity projects alongside member unions of the ICL, as long as the labour conflict in question has a certain minimum level of significance (to be established) so as not to use up the resources of the ICL member unions in solidarity actions for (for example) an individual wage theft conflict. We should establish contacts with libertarian revolutionary groups interested in forming a labour union, and when they begin to function as such, continue with the projects outlined above. In the fourth case, we should, if it is strategically relevant, research companies where we have an established presence or a labour conflict and see if we can make some kind of strategic partnership with a union in the area, or if this is not possible for practical reasons we should attempt to directly contact the workers through the nearest N.I. member union. We should make contact with the anarchist movements in Egypt and Turkey as entry points into the Arab world – we believe that the Greek unions have a privileged position for this project. The member organizations’ existing contact with the Federation of North Syria should be consolidated and expanded as this is the region in the Arab world where there is the most potential for finding partners and sustainably supporting the development of anarchist organizations. For the CNT, our attempts to establish international contacts should centre around SP Portugal; we should explain our project and invite them to participate. We should also take advantage of the contacts that have been established in the Rif and/or with unions in Morocco; given the presence of Spanish companies there this is a strategically important country.